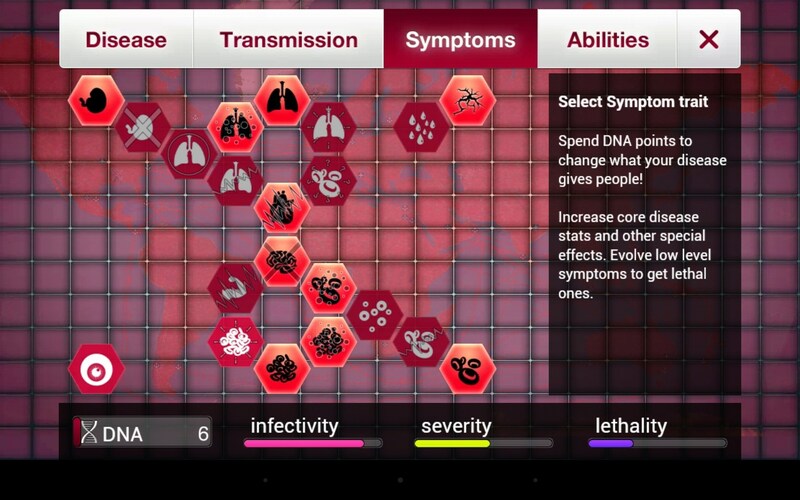 Plague Inc. – Games for Android 2018 – Free download. 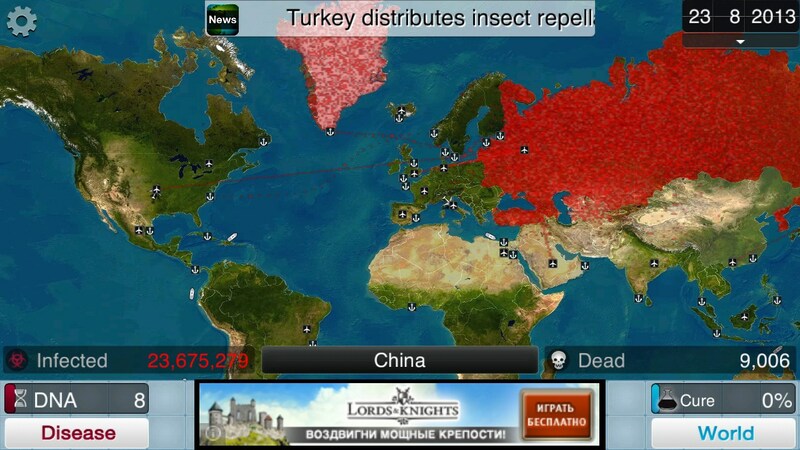 Plague Inc. – Create a plague and evolve it to the point where it kills all humanity. 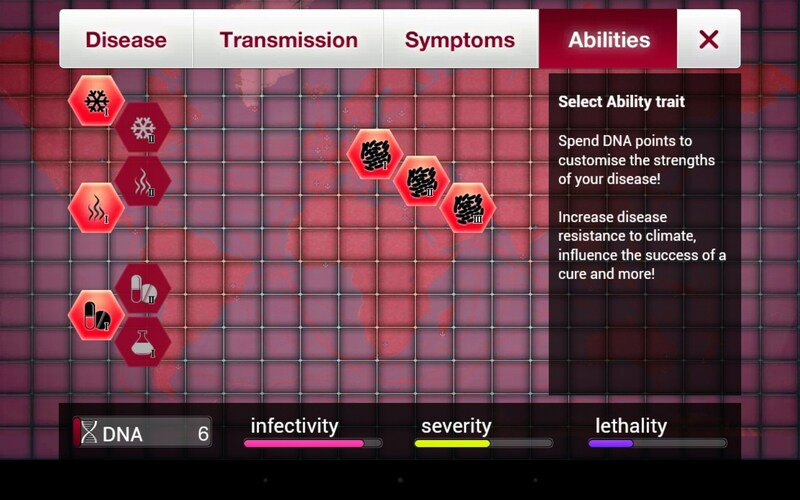 Plague Inc. for Android places the power of anarchy in your hands. 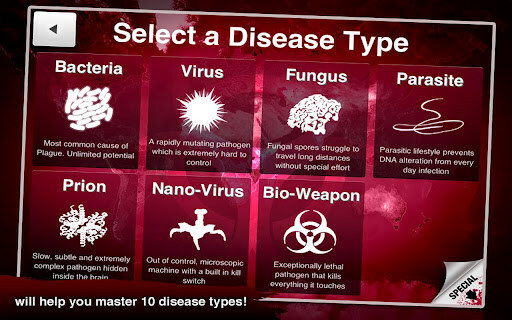 Develop a brutally infectious disease and try to wipe out the earth’s population before they find a cure. 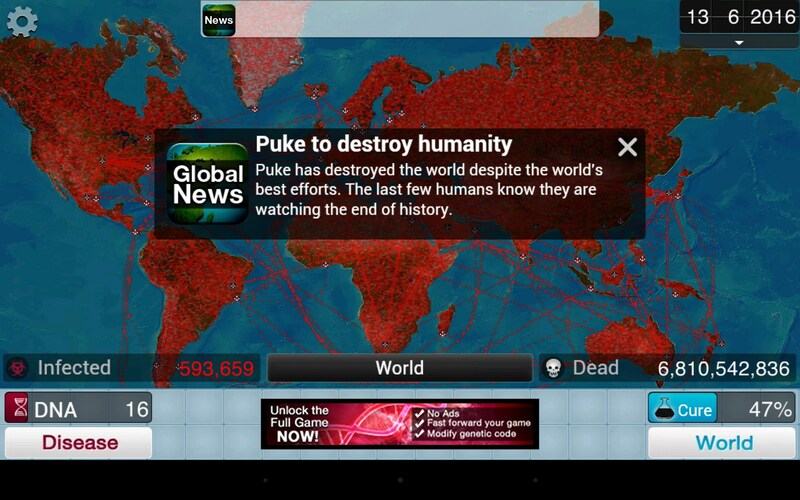 It’s eerily addictive and completely disturbing. 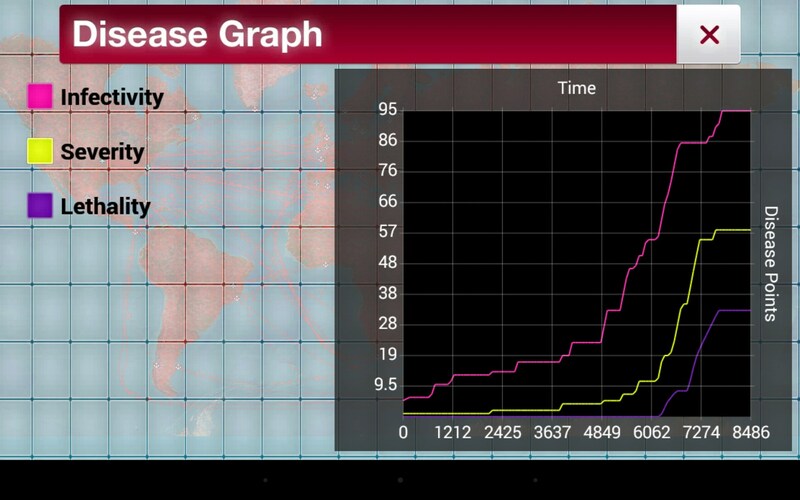 Plague Inc. is unnerving, diabolical and utterly addictive. 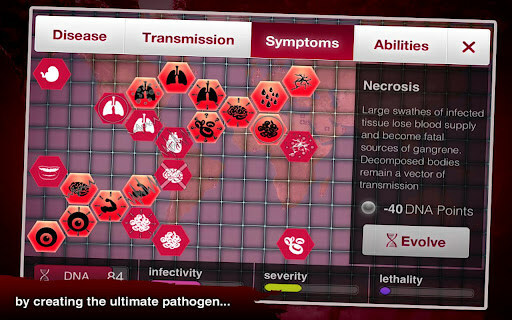 The concept makes no bones about it: your mission is to create a pathogen so deadly that you infect as much of the world as possible before they can find a cure to save themselves. 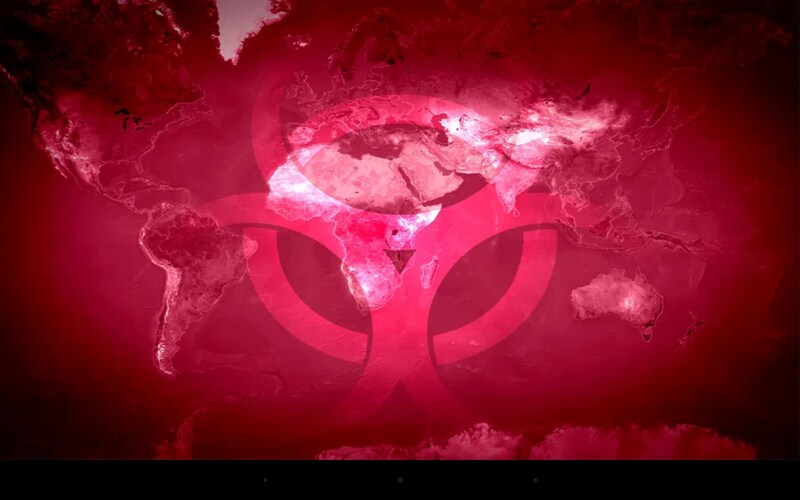 Decide where on the globe ground zero will be, release the locusts (so to speak) and watch as your supervillain plan unfolds and humanity crumbles. 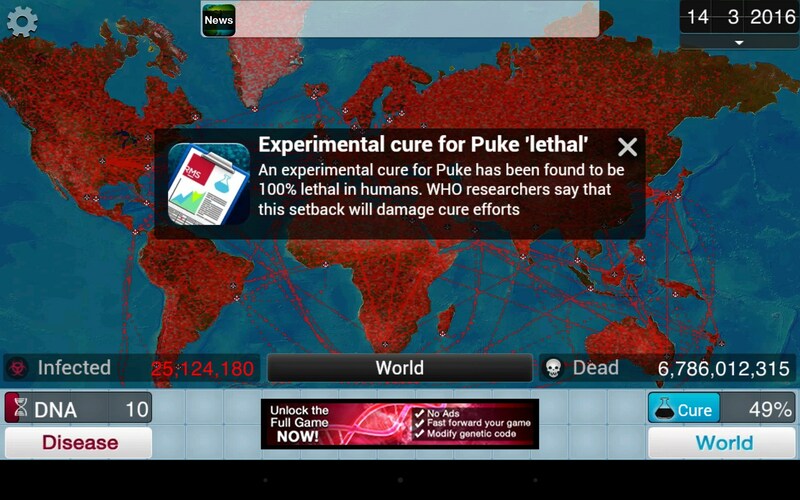 Once your plague is unleashed, you can watch it spread, country to country, on a live interactive map. 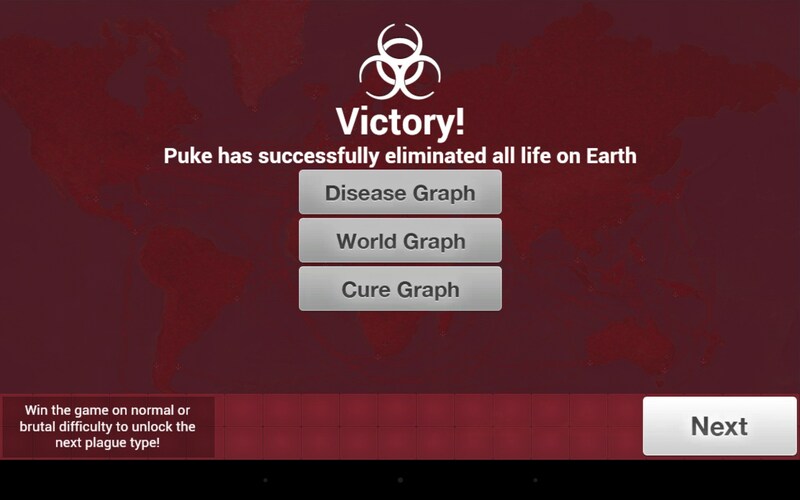 Evolve your plague to make it even more deadly and resistant to medicine. Decide if it should be airborne, transmitted through contact, vermin, cattle or all of the above. 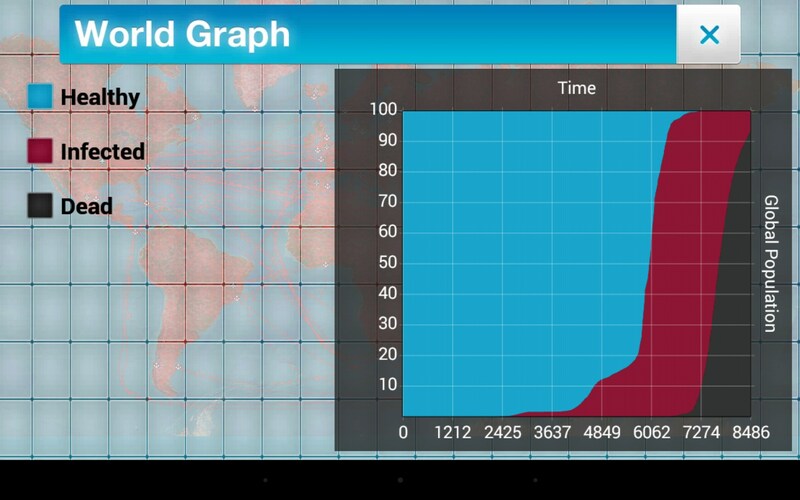 There’s no limits to how you can annihilate humanity. The game play is actually quite intense. The presentation is highly effective and disturbing. 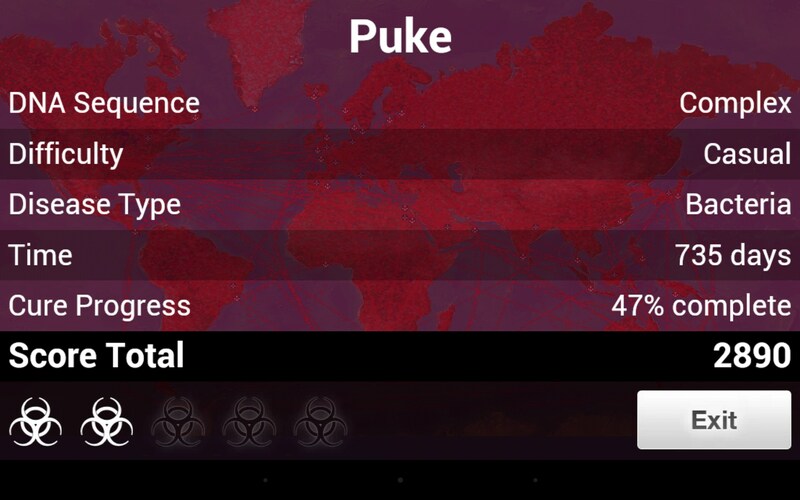 There’s something really creepy about watching your plague start out small, then slowly spread and take over each country, one by one. It reminded me of when AIDS first hit the scene; I couldn't help but think of the move And The Band Played On. This 'game' is more than a little scary and makes me wonder what demented individuals are playing; will they lose touch with reality and decide it would be fun to play with people’s lives for real? There’s a real-life tragic news headline here waiting to happen. The graphics are good and effectively create the mood and feeling of dread. Animation could have been a little better, but really, this game doesn't need any more help with being creepy and unnerving. It’s basically like watching CNN report on the end of the world. 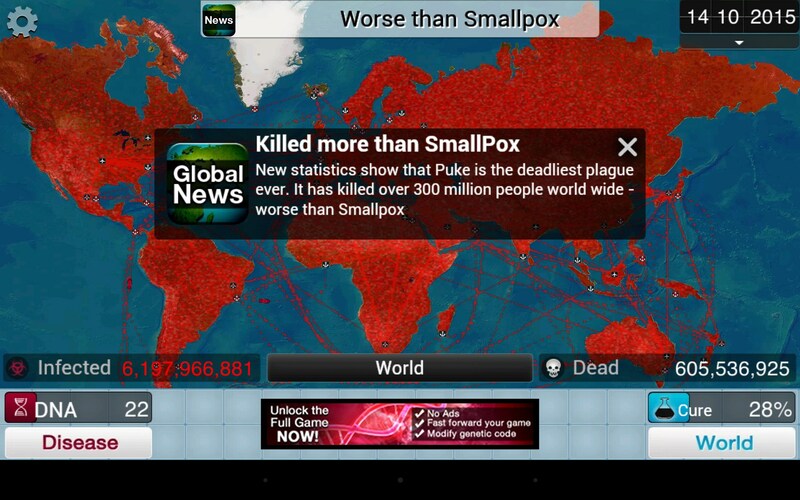 Notifications proudly display accomplishments like, your plague has killed more people than smallpox. Oh, what joy; mom will be so proud. 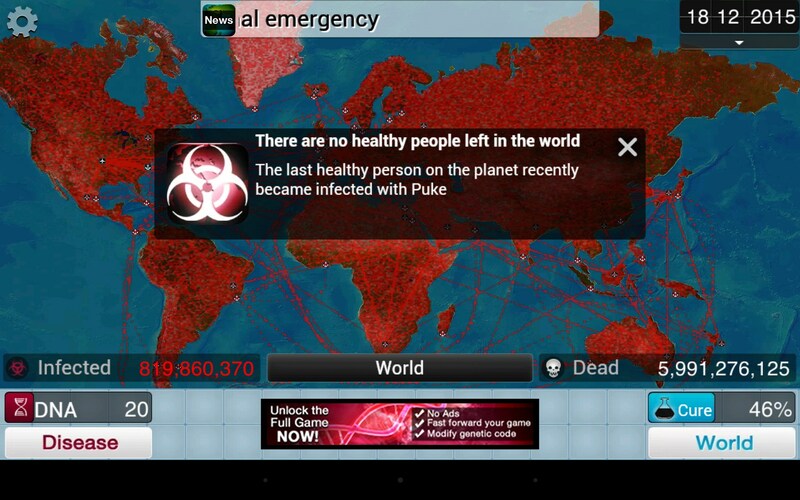 Plague Inc. is very effective at the game it is presenting. I feel like I’m in the midst of a doomsday movie, or worse, the actual end of the world to a gruesome and ruthless virus; created by a ruthless and demented idiot. There are several modes of play that need to be unlocked for a price, though personally, I question the sanity of anyone who gets so involved in this game, that they are motivated to spend money for a myriad options to kill humanity in this imaginary apocalypse. Sure, it’s just a game. And I was strangely intrigued by it all. 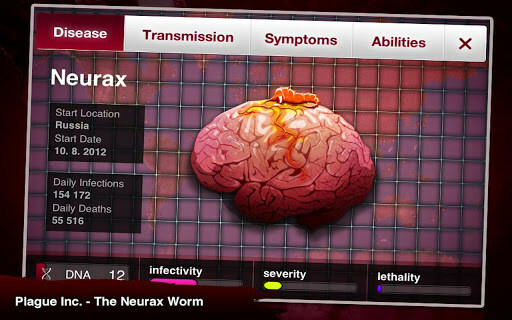 But I’d never play this more than once; not without seeking psychiatric help. I liked it, but am afraid to give it Editor's Choice on principal alone. The insanity out there in the real world is just to rampant for me to feel good about this one. It all just strikes a little too close to home. Diabolically genius app development.